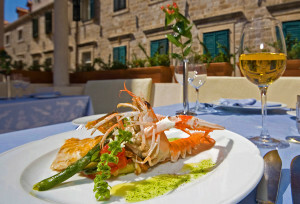 Buying and cooking seafood is quite challenging for most people, so they prefer consuming it in restaurants. If you like eating crabs, oysters, fish and other delicious seafood and you’re looking for a way to make a good living, growing a seafood eatery might be the right decision for you. After talking to experts from live seafood supplies delivery services, we are ready to share some tips that will get your restaurant off to a great start. 1 – Never forget that a seafood eatery is a very potentially marketable business, but you need good strategies and concepts in operating any restaurant. 2 – Pick a type of a restaurant you wish to open. For example, are you interested in selling sushi or would you prefer running a restaurant that offers international seafood dishes? What about your potential clientele? These restaurants usually range from upscale establishments to affordable eateries, therefore it’s important to know who you want as your guests one day. 3 – Fix your budget. Creating a budget is essential if you want to know how much money you would need to keep a seafood restaurant operating during the first years. How much will it cost each month for your permits, building lease, utilities, equipment, ingredients, staff and marketing? In order to cover unexpected expenses (which you have to expect), be generous when estimating potential costs. Multiply calculated figure by 12 and you’ll see how much money you’ll need to run a seafood business each year. Before opening a restaurant, it’s recommended to have at least 3 years worth of operating money, because it usually takes at least that long to make a profit. 4 – Business plan is important, even if you don’t intend to seek a loan. I’m not talking about a formal document, but a clear blueprint for your seafood business. Information should include things like the reasons for choosing a specific type of eatery, how that choice matches with demographics of your area and the advantages of location you have planned to use for your restaurant. Furthermore, you should analyze the strengths and weaknesses of the top 3 seafood restaurants in your area, your strategy on competing with them, as well as your budget, funding, marketing and PR plan.